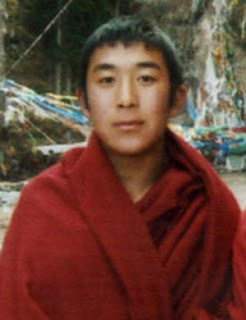 Info: Tapey, a Kirti monk in his mid-twenties, was shot by security personnel when he set himself on fire as a form of protest after prayer ceremonies at his monastery were cancelled. Early in the afternoon, according to at least two sources including one who spoke to an eyewitness, Tapey walked alone to a nearby crossroads in the market area of the town. He had already doused himself with oil by the time he reached the crossroads. 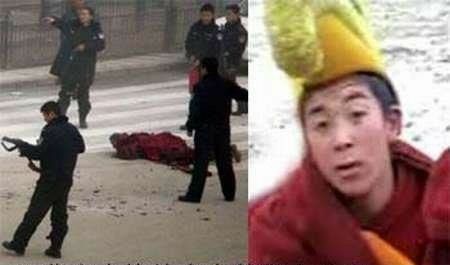 He then set himself on fire and raised a home-made Tibetan flag that had at its center a photograph of the Dalai Lama. When Tapey began to shout slogans (no details are yet known of what he said), People's Armed Police (PAP) personnel stationed nearby opened fire, and Tapey fell to the ground. Reports indicate that the PAP extinguished the fire after Tapey was shot and he was immediately taken away by police.